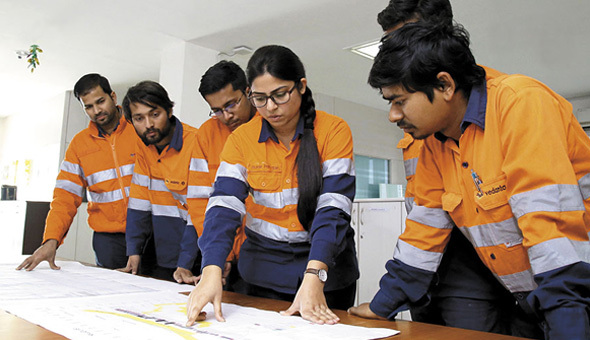 For nearly two years since 2013, Pratixa Kher, now 27, marshalled an all-male crew to conduct blasts at Hindustan Zinc’s open-cast mine at Rampura Agucha in Rajasthan’s Bhilwara district. A graduate in mining engineering from Gujarat’s Bhuj, Kher had to mobilise forces with clockwork precision to extract ore by deep-hole drilling, charging explosives and initiating firing sequences, sometimes in difficult terrain with depths of up to 400 m, in temperatures between 40°C and 45°C, and between 8 am to 2.30 pm to ensure optimal use of time. She admits that it would get intimidating at times, but “in mining, if you haven’t done blasting, you haven’t challenged the rock”. Kher wouldn’t have envisaged her current life even some years ago, when she was struggling to find a college that would let her study mining engineering, a discipline that was considered too challenging for women. When she graduated from the Government Engineering College in Bhuj in 2012, she was part of the first batch of graduates that included women. Kher’s story is resonant across shop-floors of manufacturing companies in India where women have begun to trickle in only in the last decade or so. Prior to that, shop-floors were out of bounds for young women graduates partly by convention—because of the nature of work involved (heavy lifting, welding etc)—and partly by a culture of a loud, abrasive all-boys’ club, perhaps best reflected in the insolence of Stanley Kowalski, the Polish worker played by Marlon Brando in the 1951 classic A Streetcar Named Desire. This exclusivity most famously came to the fore in a recruitment advertisement published by Telco in 1974 for a junior engineer, with a prominent disclaimer ‘Lady candidates need not apply’, to which a gold-medallist engineering graduate from Hubli shot off a letter to JRD Tata lecturing him on gender equality. That graduate later received an interview call, and when the panel told her that despite her impressive résumé, she should rather angle for a research job, she shot back and told them that women had to start somewhere, else they would never work on the factory floor. That this spunky woman was Sudha Murty, chairman of Infosys Foundation and the one who provided her husband NR Narayana Murthy with the seed capital to start software behemoth Infosys, didn’t change the reality for women through the 1970s, ’80s and ’90s. Sometime in the ’90s, Nemichandra, an aeronautical engineer with Hindustan Aeronautics Ltd (HAL) and now the general manager of HAL Management Academy, had come to Mumbai for flight trials of the torpedo system on the Chetak helicopter to be conducted deep into the Arabian Sea. As she boarded the warship, she was saluted by the sailors onboard. Taken aback, she enquired and was told, “Because we thought you were the captain’s wife who came to see the warship.” As she introduced herself as the engineer who was there for the torpedo trials which required her to sail on the warship, she was told that women can’t be taken onboard the warship. However, special permission was arranged to let her on board. Because most workspaces in core manufacturing industries kept women out, their infrastructure was also male-centric, with the absence of basic amenities such as separate toilets. Nemichandra, who had to go on field visits to far-flung armed forces bases for weapons or flight trials, remembers taking printouts with the ‘Ladies’ sign and sticking them on toilet doors for privacy. Despite such odds, women have begun to infiltrate factories and are even occupying supervisory positions. Fifteen years ago, Roopa Chandran was the first woman to join the Light Combat Aircraft shopfloor at HAL; now there are at least 50. The workforce at L&T’s plant in Hazira, Gujarat, had less than 1 percent of women a decade ago; the number is up to 4 percent now. Tata Motors has about 1,800 women employees on shopfloors across India, about 5 percent of the factory workforce. In Tata Steel, it’s 4 percent. Mahindra & Mahindra hires about 130 to 140 women engineering graduates every year, earmarking 33 percent slots for women, while the transaxles for its Alfa three-wheeler are made entirely by women at its Hardwar plant. Even in smaller companies like Coimbatore-based Ampere Vehicles, 11 of the 23 workers on the factory floor are women. While positive intent has pushed women to the fore, their advent has also coincided with a growing awareness among top manufacturing companies about the need for women on shopfloors. Not just to add up numbers, but to make it more inclusive and yet, as Anuradha Das, general manager, HR, Tata Motors, passenger vehicle business unit, Pune, puts it, “be high on business results”. In 2014, the plant selected five women from around Pune under the Tata LEAD initiative, launched by the group chairman with gender diversity as the first area of focus, skilled them and put them on the assembly line. The experiment yielded such encouraging results that the company started to recruit more girls to introduce NEEM (National Employability Enhancement Mission, the skill enhancement mission launched by the Prime Minister) and converted the door line and the Trim II line into an all-girls’ force. “Both the men on the line and the girls were apprehensive initially. So we trained them, in our training centre classrooms for a month where they were taught fundamental skills like tightening a screw, riveting, feeding the bolt etc. We also made them do a lot of exercises and yoga to enhance dexterity and physical strength. This was followed by a month of training on shopfloors. The senior team members were involved in training and mentoring the girls there. This was a game changer,” says Das. 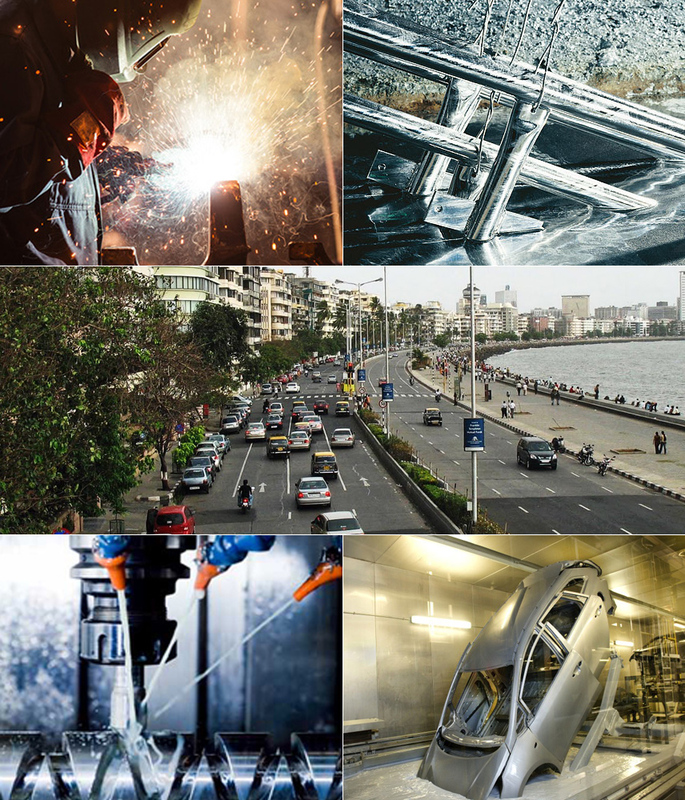 Elsewhere, Tata Steel, launched initiatives like Women of Mettle, scholarships for young women from technical schools to join the company, and Tejaswini, a programme to train unskilled women to take up heavy machinery work, transforming non-technical staff like P Gyaneswari and Asha Hansda into operators of ambulances and dumpers, respectively. But breaking down such mental block hasn’t been easy. Many male workers were paternalistic at best and egotistic at worst towards their female colleagues. Hindustan Zinc’s Kher remembers the reluctance of machine operators, who have been working at the mine for 30 years, to take instructions from a junior woman engineer. Or Shweta Babaji Hadawale, an engineer then at L&T’s plant in Powai, Mumbai, who was politely told by her male seniors that she wouldn’t be comfortable with heavy machinery manufactured on the shop floor. “Not that they weren’t supportive, just that they thought I wouldn’t be able to deal with it physically,” says Hadawale. In fact, competence is the biggest gatepass to acceptance. Proving one’s ability degenderises roles and perceptions at workplaces; hence, embracing ‘manly’ tasks like climbing ladders or working in cramped spaces, for instance, without much fuss ticks the right boxes. Sharad Bhor, a team leader at the transaxle plant at Tata Motors’ Pune plant, once got a woman to fill in for one of his absentee male workers. In an hour, as she began to learn the ropes, she began to perform better than the man, says Bhor. Similarly, Dipali Singh Rana, a senior manager at the powertrain shop and the only woman employee in the assembly plant when she joined the company as a graduate engineering trainee in 2008, says data showed that work done by women on the door-line got a first-shot OK. At Tata’s Jaguar Land Rover assembly line, women work shoulder to shoulder with men when it comes to engine marriage and fitting the underbody, work that involves looking up all the time and can be physically sapping. “We skill these girls and build their confidence to work in a space that holds the myth that only men can do ‘heavy’ jobs. With proper training, the girls can perform jobs like glass-fitting of the vehicle, operating with pneumatic cylinder etc,” says Suhas Kulkarni, deputy general manager, CSR, at Tata Motors’s passenger vehicle business unit in Pune. But, besides just one’s ability, factory floors needed to bring about a cultural change to accept women within their folds. Shop supervisors were apprehensive if the inter-gender mingling would lead to increasing cases of harassment. Top manufacturing companies are allaying such fears by putting in place codified policies against sexual harassment. “When union leaders approached me with this problem, I told them Tata Motors will have zero tolerance towards sexual harassment. But we should make the workfloor comprehensive enough to ensure such incidents don’t happen,” says Das of Tata Motors. For this, not only women, but men, are also trained. Says Atrayee S Sanyal, the chief group HR and chief diversity officer of Tata Steel, “Factory floors can be made safer with clear communication on dos and don’ts on behavioural aspects, having internal committees that can handle sexual harassment cases and sensitisation sessions on the shopfloor and for contract workers.” The results are for all to see: Cuss words are down, accuracy is up and the floor is far more hygienic than when inhabited by just men, says Wilson Jaikiran, general manager, powertrain, Tata Motors, Pune, who has worked on the shopfloor for 37 years. Women too are taught to toughen up in the face of a dressing down. Das coined a slogan in Tata Motors, ‘Jo roya woh ghar gaya’ (the one who weeps goes home), for women to steel themselves. To boost their comfort level and security, companies have also begun to place women in large batches. “If you want more women, give them critical mass. It doesn’t work if one woman is left in one shop and the other 100 yards away. At Mahindra’s Jeeto plant in Zaheerabad, Telangana, for instance, the machining, assembly and supervisory work is done mostly by women,” says Vijay Kalra, the chief of manufacturing operations for Mahindra’s automotive division and the CEO for its plant at Chakan, Pune. What else perhaps is needed is the development of basic infrastructure geared towards enabling women. Creches at workplaces, flexi-timings for young mothers, drop services for late shifts, among others, are a given and already prevalent in many companies, but another small step would be manufacturing protective equipment, says Kher, like gum boots, jackets and helmets in sizes for women. “According to mines regulation, girls are restricted from working in underground mines. It is assumed they won’t be interested. Why not let them decide?” she asks. Equality also means freedom from reverse bias, and restrictive provisions of the Factories Act (1948) that originally stated that women won’t be allowed to work in factories beyond 7 pm. In 2016, then Minister of Labour Bandaru Dattatreya amended the act, allowing states to decide on flexible work timings for women. Yet, night shifts remain out of bounds at many locations. “Factories and mines in eastern states did not allow women to work on all three shifts. Tata Steel had petitioned with the government of Jharkhand for long, and has only recently been able to pass the law to extend the hours for women, at least for A to B shifts. But till that can be done for the C shift [post 10 pm], only men are left to work in night shifts. That is unfair,” says Sanyal of Tata Steel.